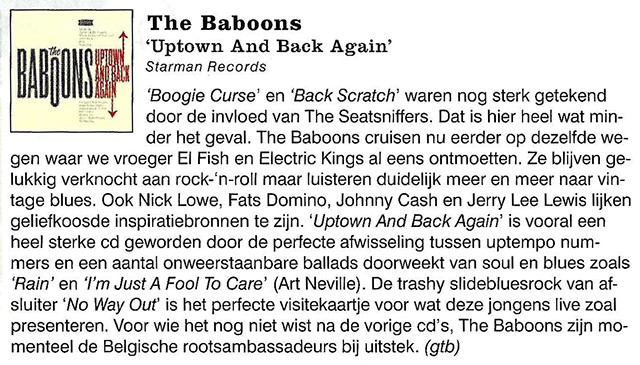 For many years now The Baboons reside at the top of the Belgian roots scene. They have played all over Europe, set many festivals and clubs on fire with their amazing live show and shared the stage with legends such as The Blasters, Bo Diddley, Jason and the Scorchers and many more. On February 9th their third album “Uptown and Back Again” will be in stores. Again a fiery and contagious mix of rock & roll, soulful, bluesy riffs and swampy country, “Uptown and back Again” is a must for every roots fan ! 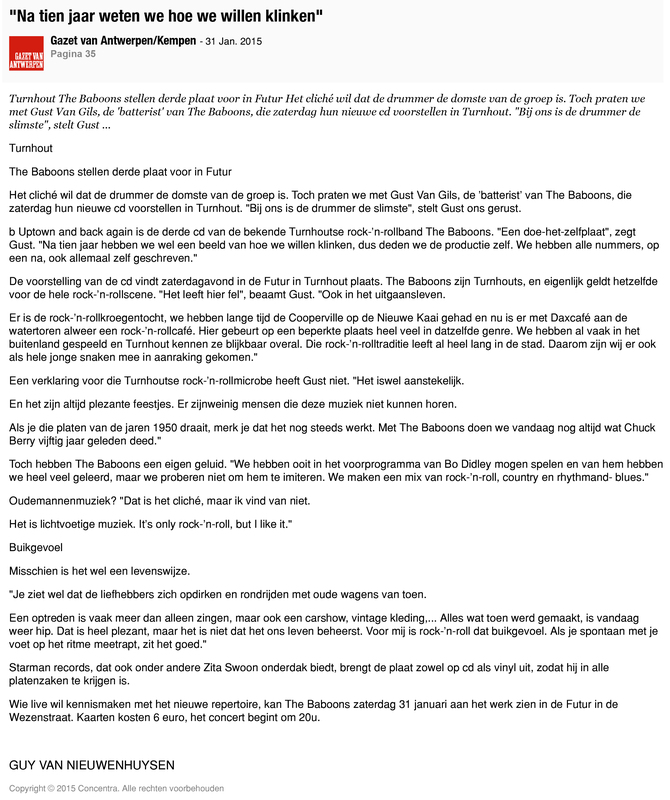 The Baboons are Arthur De Winter (vocals and rhythm guitar), Kristof Koyen (lead guitar), Wim De Busser (keys), Bob De Houwer (double bass), Gust Van Gils (drums).